A facelift (also called a rhytidectomy) is a surgical procedure that can typically give a more youthful appearance to the face. This type of cosmetic surgery reshapes the lower one-third of the face by removing excess facial skin. It is designed to improve visible signs of aging in the face and neck, such as sagging in the middle of the face, deep creases below the lower eyelids and deep creases along the nose extending to the corner of the mouth. Dr Griner can show you results achieved with other patients. While these results can in no way guarantee the success of your surgery, they can give you an idea of what is possible with a well developed plan and skilled doctor. It is important that you use a doctor for this kind of procedure that understands your goals, listens to your concerns, and addresses each one to your total satisfaction. The decision to have a facelift, as with any plastic surgery procedure, is extremely personal. You should, with your doctor, decide if the benefits of achieving your goals make the risks and potential complications of a facelift acceptable. These risks and others will be fully discussed prior to your consent. It is important that you address all your questions directly with Dr Griner. Depending on what you are having done, facelift surgery may be performed in an office-based surgical facility, outpatient ambulatory surgical center, or a hospital. Be sure to have someone drive you to and from your surgery and to stay with you for the first night following your procedure. What is a facelift, and what does it do? More commonly known as “Rhytidectomy,” a facelift is a procedure done to reduce the signs of aging primarily in the face and neck. Excess fat is removed which tightens the neck muscles and reduces drooping skin. Who can undergo a facelift procedure? Any healthy person who is beginning to notice the signs of aging especially in the face, is considered a candidate for a facelift. 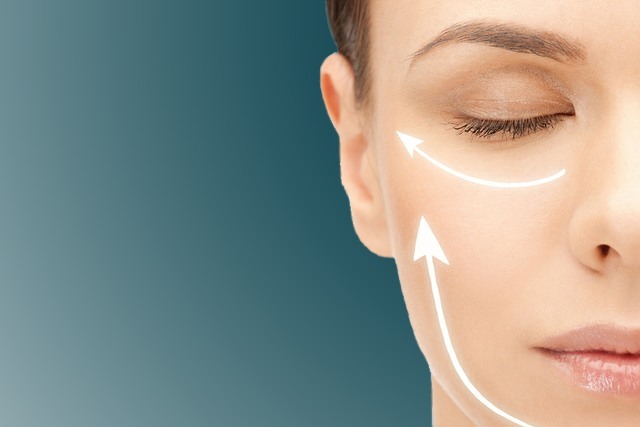 What should I expect after undergoing a facelift surgery? Many patients are actually surprised with the little amount of pain they experience after surgery. Often, patients only note the difficulty in breathing through the nose for several days, which is due to the swelling. You should expect swelling for several weeks but the results should be visible afterwards. A repeat surgery may be done after 5 or 10 years but patients must also understand that factors such as exposure to the sun, weight gain, and skin hydration may alter the results of a face lift surgery.